The days are gone when the homeless were transient individuals with substance abuse problems. Individuals, Families with Children, Unaccompanied Youth, Elderly, Veterans, male or female, any race and age, may or may not be disabled. What happens when one is homeless? Besides not having a stable residence and a permanent address, the homeless live day-to-day; have issues keeping their possessions safe – including Identification, birth certificates, and other essential paperwork needed to apply for benefits/employment; health problems may become chronic. Where do I go if I am homeless with children? 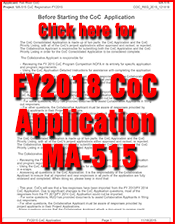 Department of Transitional Assistance (only way to access family shelter in Fall River) – must present at the office and wait for assistance. Where do I go if I am a homeless adult individual/couple? First Step Inn (only emergency shelter for individuals in Fall River) – can call or present at the shelter, as early in the day as possible. Where do I go if I am on the verge of homelessness? Catholic Social Services provides homeless prevention assistance, by appointment only. Where do I go if I or my children think we may be victims of domestic violence? or in case of immediate emergency, call 911. What does a homeless person do during the day? The family shelters allow 24-hour access; the individual shelter allows 24-hour access in the coldest winter months only. IF the person is not working or attending school, there is currently no designated center for the homeless to congregate. Soup Kitchens are open for 1-2½ hours, 7 days a week, at various locations.